Ami Williamson - Singer, Songwriter, Entertainer. Australia's mst original songwriter. Ami is a Sydney Conservatorium BM Graduate and has studied Opera in Germany. She has performed for Opera Australia in Turandot ad Iolanthe. She has toured nationally with her father John Williamson. WInner of Mars Hill songwriting competition. 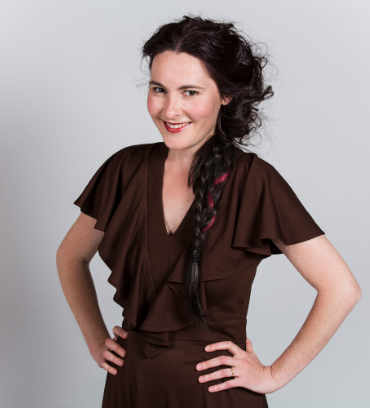 She has recorded for 2MBS-FM, ABC Classic FM and ABC Radio National and has performed for tv. Amy has recored an EP, live show DVD and two albums. Ami is a unique and outstandingly different entertainer who is unforgettable. Her performances are quirky, upbeat and totally absorbing. A rare talent with a real sence of the theatrical which means a performance by Ami is truely one not to be missed. She is funny, talented and her songs always heartfelt and different. Contact: Maeve (02) 9520 5628 or Jenny on (02) 9576 2301 after 6pm. Ami Williamson entertaining the troops in the Middle East.